LONDON -- Ford employees in the UK will meet later this week to decide whether to repeat the strike action that affected all Ford of Britain sites on Monday. The 24-hour strike was brought by white-collar members of the Unite union, who object to Ford's plans to reduce salaries for new workers and block their access to the automaker's final-salary pension scheme. "The strike committee at Ford are meeting later this week to decide the next steps," a Unite spokesman said. Strike action took place at six Ford sites, including the diesel engine plant in Dagenham, east London. "The vast majority of our workforce weren't affected. There was very little or no disruption," a Ford spokesman told Automotive News Europe. The strike involved 1200 salaried Ford employees out of 2500 in the UK. Ford has a total of 15,000 employees in the UK. Workers paid hourly have already agreed to a new wage and pension scheme for those joining the company effective from now. 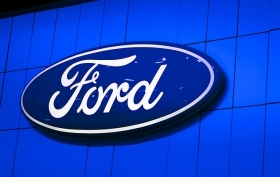 Unite national officer Roger Maddison said ahead of the strike: "We fiercely oppose the closure of Ford's final salary scheme to new entrants because we believe ultimately Ford will try to close the entire scheme." He said the changes will create a "two-tier workforce." Ford has given assurances the pensions are safe. "There are no plans to close pension funds to existing employees," said the spokesman. He said new workers wouldn't lose out: "We expect the terms to be among the most competitive among the UK automotive industry." Ford is one of many automakers looking for cost-savings in a sluggish European market. Demand for new cars fell for the eight consecutive month in May this year, dropping 8.7 percent on the previous year. The UK was one of the very few markets to see growth, posting a gain of 7.9 percent.